As a military wife, I have had to do an awful lot of waiting over the years. Sometimes I began to wonder in the midst of all the waiting if God had forgotten about us. I know I’m not alone in the “hurry up and wait” spouse club. It’s pretty safe to say that I’m just a speck in a long line of specks…lol. However, sometimes what we wait on can be simple or it can be profound. Here are just some of the things that we have been challenged with over the years. Waiting on dinner. Yes, this sounds simple but asking your military husband what time he will be home can be very complicated! As soon as he says, “I should be home by….,” that’s usually code for “I have no idea.” It can change in the blink of an eye. Waiting on family time. More times that I can count, we have had family times planned only for the Army to change those plans and decide family time is overrated. Those changes were either necessary or ridiculous. For example, the time a spouse who was nothing but a drama queen and was “suicidal” daily. I do not exaggerate when I say daily. Suicidal ideation is not something my husband takes lightly, but after 8th “attempt” and constant calls from the emergency room, even he became tired of her need for attention. It became very draining and frustrating for not just my husband but those who worked with him. Waiting on orders. Two words come to mind….MENTALLY EXHAUSTING! You know you’re leaving. They have told you that you’re leaving. You cannot stay but you have no idea where you’re going. You’re not sure your report date either. So you wait. The Army doesn’t really get in a big hurry most of the time, at least not for us. When we left recruiting, his orders changed the day before he was supposed to fly to Germany. When we left Fort Bliss, we had less than 30 days to prepare. It seemed we normally got orders literally last second. Waiting on housing. All the red tape makes me want to pull my hair out! The management office needs an updated copy of some form that they failed to mention when you turned in the other 400 forms. Sometimes we were low on the waiting list and other times we were at the top. Sometimes we got tired of waiting and lived off post. Waiting for deployment orders. As slow as the Army is about PCS orders for us, they waste no time with deployment orders. Rumors can circulate for as long as two years out. Then the official word spreads through the grapevine and the countdown begins! You wait and wait to officially get orders. In the meantime they train, organize, inventory, and work long late hours—just in case! The lead up to a deployment and be emotionally and physically draining. I admit it also becomes a time when you just want them to leave—even though you don’t want them to leave—because the countdown to homecoming can begin. Waiting for leave (vacation). This is a time when we can mostly get away from the military life for a while. We can enjoy our husbands without the Army pulling them in a thousands directions. We are reminded of why we fell in love with them to begin with. We get to see them be just our husband and just a Dad to our children—not the Soldier. Those moments and times are often a prequel to a deployment or a followup from a deployment and the moments are even more special and precious. Waiting on “See ya Laters.” See ya laters never get easier. They grip your heart. It doesn’t matter if you’re moving or your dear friend is moving, it hurts. It doesn’t matter if it’s family time prior to a deployment, it hurts. I have said “see ya later” a lot over the years. Friends that I hold near and dear and am so grateful I got to surround myself with. I have also said “see ya later” more times than I would have ever liked to my beloved husband. It is never easy. It is gut wrenching to watch your children give their hugs, shed their tears and say their “see ya laters.” But God is faithful. Waiting on Homecomings. Sigh. BLISS. I know ya’ll have watched the youtube videos of military homecomings and cried. I cry, too. There is truly nothing like a military homecoming! It doesn’t matter if it’s an all-out smoke and glitter and balloons homecoming or just an airport without all the banners, I cry every time. Our homecomings are like the videos. Even when you have counted down each day, waiting on those moments makes you realize how blessed you are. As you wait, there is someone else who waited, too, but their spouse is not coming back. I’m sure you have seen the boots lined up representing those who did not make it back. As happy and blissful as you are, there is always an ache for the brothers and sisters who never returned. Waiting, always waiting. It is a military characteristic that will either make you or break you. I had to decide many years ago that I was not going to let it break me, but I failed without God. I have known each time my husband has left that there was a very real chance that he would not make it back. The Army makes sure you don’t forget either because it insists you have your affairs in order. Last Will and Testament – Check. Banking information – Check. Life insurance – Check. Emergency contact information – Check. Let that sink in. While most 19 year olds are out enjoying life, there are many who had to make sure their Wills were in order so they could head overseas and defend our freedom. 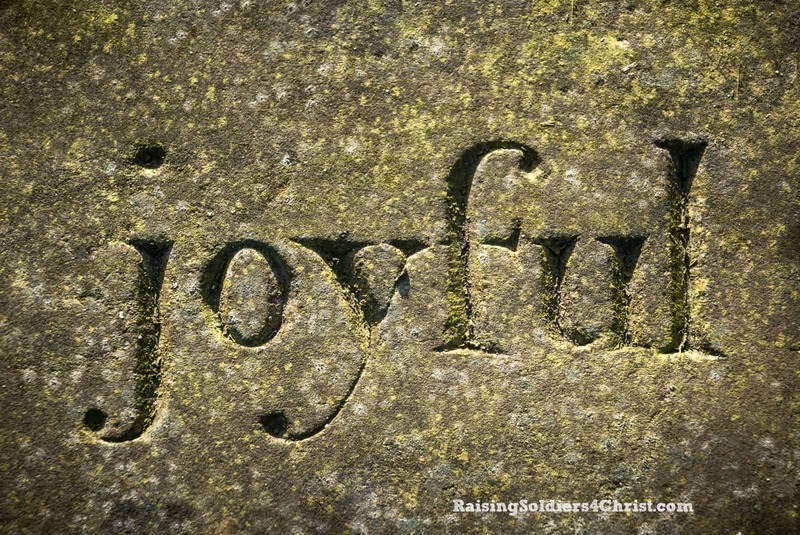 For Clay’s safety and the anticipation of his return, I had to learn to be joyful in hope. That wasn’t always easy because there were days I wanted to crawl in bed and give in to my flesh. As tempting as that was, I had three little ones who depended on me. They learn by watching Mom, so I could either show them how to lay down and give up, or how to wait and trust in the Lord. I decided on the latter. I also had to learn patience. When you have a spouse who leaves and heads to training or overseas it can seem like an eternity until they come back. The first week is what I like to call the week of denial. I expect him to walk through the door any moment. Then reality hits me in the head and I begin to see how long a year really is. They are not on a vacation (shhhh don’t tell Clay because I like to tease him about his “vacations” he gets to take LOL) and they will not be back after a short business trip. Days turn into weeks and weeks turn into months. Day in and day out you have to be both Mom and Dad. You’re drained. You’re exhausted. You long for your partner in crime to take over on those days you feel you cannot do it anymore, but that person isn’t there. So I had to learn to not just be joyful those days, I had to learn to be patient. 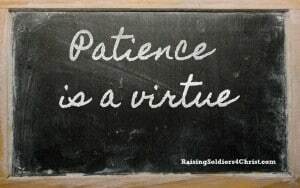 For those who know me know that patience is NOT one of my God-given talents. LOL! I have become more and more patient over the years due to in part the military and also motherhood, but mostly God. I could NOT do this without the Lord. 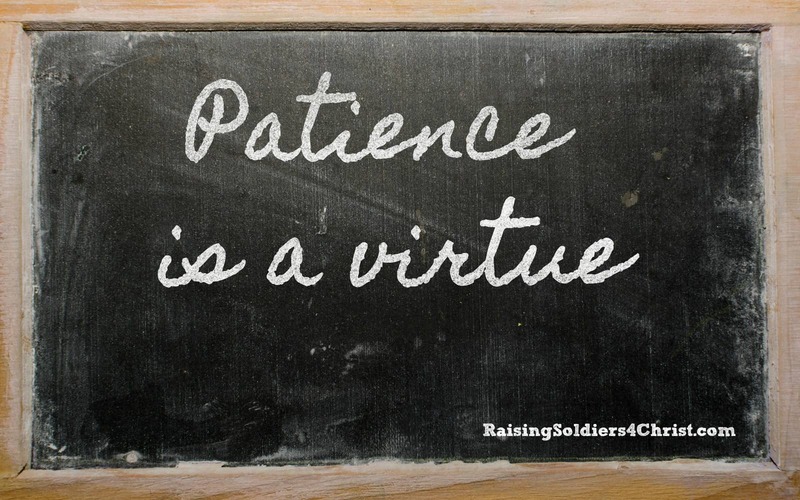 Patience does NOT come easy for me. I honestly have to give it to God each day for Him to see me through it, but you know what? He will NOT leave us! If we are clinging to the Lord, He will not leave us nor forsake us. How do we get through it all? How do we grow and learn to trust God? By reading His Word and steadfast PRAYER!!! LOTS of prayer! Prayer for safety. Prayers for us to handle the home front the way God would want us. Prayers for God to use this time to grow our relationship and strengthen us. Prayers against the enemy who wants nothing more than to use this separation to attack and destroy. God is faithful when we trust Him. My friends, I am about to embark on a journey that I fought against eight years ago. As you are reading this, I’m driving to the airport for my last “Welcome Home.” It has been a long year and I am ready to say “It’s a wrap!” However, the next step brings us more waiting. You see, Clay is now technically on leave until his retirement becomes official. So now we wait on God to move mountains. We moved to Tennessee on faith and prayer believing that God was sending us here. Eight years ago the thought of Clay getting out of the military would send me to a near anxiety attack. 🙂 No, I was NOT trusting God and in the end Clay caved into my, uhm, request. Okay, my whining, and complaining, and nervousness. We truly believe we are leaving the military at the time God wants us to do so. However, there is now more waiting. Waiting on the job that God sees fit to bless Clay with. Waiting on Clay to finish seminary and see where God moves. Waiting on Clay to integrate into civilian life after 20 years of military life. Waiting on the VA to meet the needs with medical and other areas. 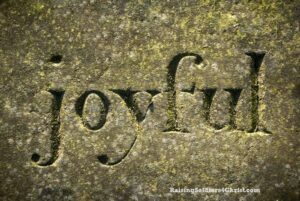 So join me in being joyful for his return and keep us in prayer as we continue trusting God while we wait. Great Post! Very inspiring and interesting. May the good Lord continue to give you the strength to be patient. God’s timing is ALWAY perfect!! 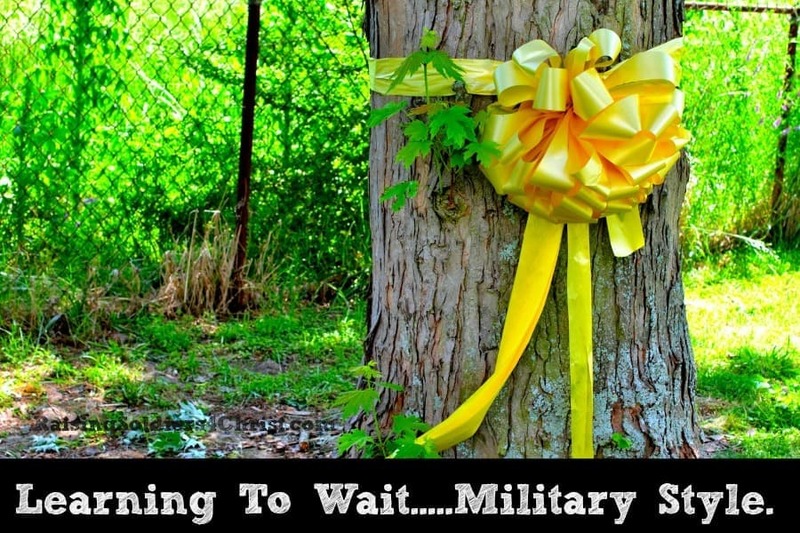 “Hurry up and wait” – served four years in the Navy and met my husband at Roosy Roads, Puerto Rico when we were both active duty…. many many moons ago – but some things I remember! Blessings! It’s tough being in the service and being an active duty spouse! Right there with ya! Great post, my friend!